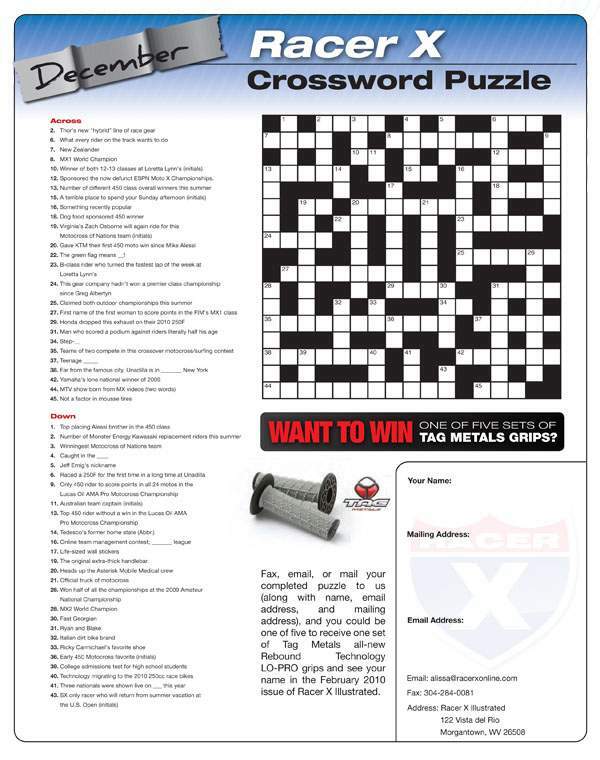 The monthly crossword puzzle featured in Racer X Illustrated's Racerhead can now be viewed online. In just a few weeks we're going to draw five names from the entries we receive, and those people will win one of five sets of Tag Metal grips. All the entry information is included with the puzzle, so print it out, get on it, and get it in!